The Valinch takes its name from the tool used to extract samples from a maturing cask of whisky. 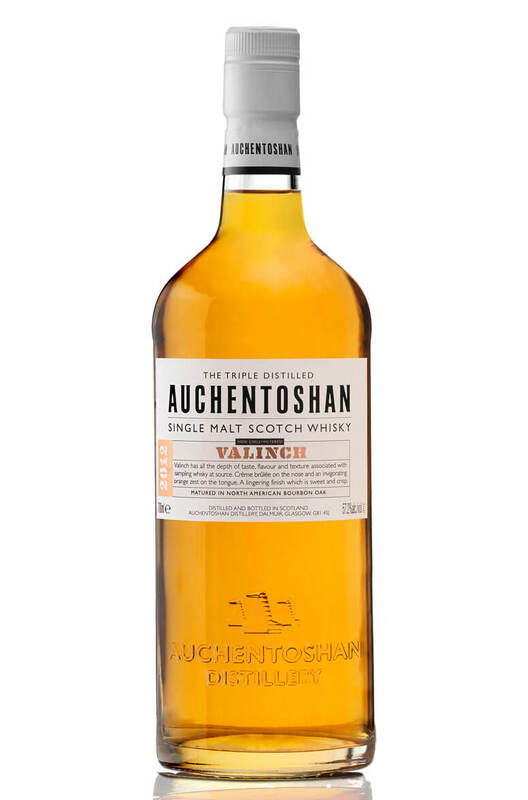 Therefore it was a fitting name for this Auchentoshan which is bottled at natural cask strength, uncoloured and unfiltered. This does not carry an age statement and is entirely matured in 1st fill Bourbon casks. The result is a light and delicate whisky with lots of citrus, honey, creme brulee and roasted nuts. Types of Barrel used for Aging Entirely matured in 1st fill ex-Bourbon casks.